When the HIV/AIDS epidemic swept the world in the late 1990s, Brazil's government took action to become a global leader in the production of cheap, generic medications. Today, Brazil finds itself at a similar crossroads as a revolutionary but prohibitively expensive new hepatitis C medication, Sovaldi, awaits patent approval at the Ministry of Health. Through the life of activist and chemist Eloan Pinheiro, along with the experiences of civil society groups, lawyers, and drug producers, this story considers the similarities and differences between the HIV/AIDS movement and today's fight for affordable and effective hepatitis C treatment. Eloan Pinheiro sits on the edge of the patterned yellow couch in her living room, gently turning the pages of a binder resting on the wooden coffee table before her. Glued to each faded pink page is a handwritten note from her former colleagues at the World Health Organization. Her husky laugh echoes through the living room after reading that last one. “They always said I was so loud,” she says shaking her head, her short silver hair swinging slightly around her tanned face. For over thirty years, Eloan dedicated her life to securing affordable HIV/AIDS treatment in Brazil and beyond. Trained as a chemist, she began her career working for a multinational pharmaceutical company before taking over as the director of what is now the Brazilian government’s largest drug manufacturer. Due in large part to her work there, and later at the World Health Organization, Brazil is now able to guarantee free anti-retroviral (ARV) medication for all of its citizens living with HIV or AIDS. Though she would claim otherwise, Eloan is retired in name only, despite turning 70 later this year. These days, she has turned her attention to a new global health threat: hepatitis C.
Often referred to as the “silent epidemic” – up to 80 percent of those infected do not experience any symptoms until the onset of liver failure – an estimated 1.5 million Brazilians are thought to be living with chronic hepatitis C today with as few as 600,000 aware of their status and receiving treatment. From her house in the suburbs of Rio de Janeiro, Eloan maintains a vigorous schedule, meeting with doctors, scientists, and up-and-coming activists who are fighting for improvements for those affected by hepatitis C.
The treatments available in Brazil cause debilitating side effects and require lengthy regimens while curing only 45 percent of cases – but drastic change is on the horizon; a development so great that it is reminiscent of the HIV/AIDS breakthroughs of the 1990s. A surge of new treatments are now making their way to the market, and one in particular has drawn worldwide attention to hepatitis C treatment. Its name is Sovaldi, and it can cure hepatitis C in 90 percent of patients. “From a therapeutic standpoint, it is practically changing the way we treat hepatitis C,” says Azzi Momenghalibaf of the Open Society Foundation, a grant-making network that focuses on shaping public policy. “The consensus is that you don’t want a patent in the way of being able to produce affordable copies of this drug.” The challenge? Sovaldi’s price tag of $84,000 for a 12-week treatment. When the HIV/AIDS epidemic swept the world in the 1980s and 1990s, Brazil found itself facing a health epidemic with no solution or feasible treatment plan for its citizens. 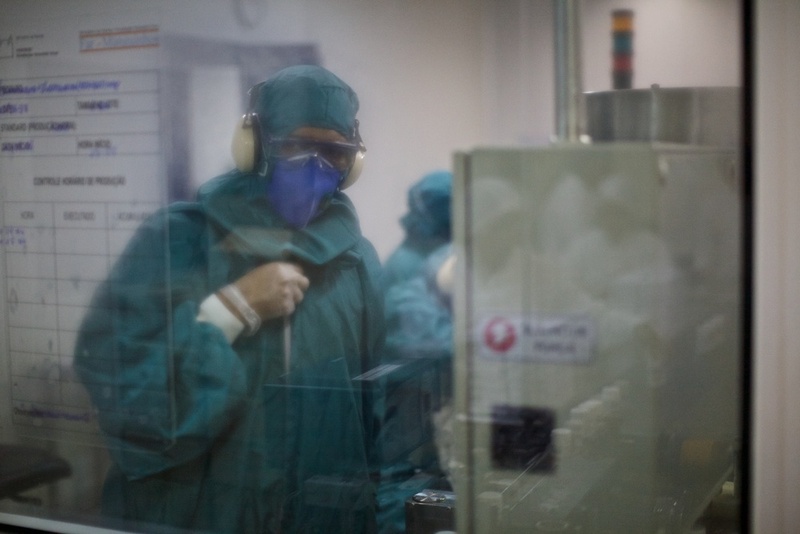 As pharmaceutical companies began releasing ARV treatments that had the potential to dramatically lower the morbidity rate, Brazil’s health system was unable to afford treatment at the pharmaceutical companies’ proposed prices. Eloan played a role in this story from the beginning and gained a unique perspective by working for nearly every side involved: a pharmaceutical company, the government, civil society groups, and NGOs. Raised in a poor family, Eloan was able to attend university in Rio de Janeiro in the 1960s to study chemistry after receiving a fellowship and taking side jobs like cleaning the school’s laboratories for extra money. When a military dictatorship took over in 1967, she was forced into internal exile due to her known role as a social activist on campus. After three years hiding out in central Brazil, she finished her degree in Brasilia and was hired by Winthrop Pharmaceuticals, an American drug company. “I started my career very strong,” she says, speaking of her first position as a manager at Winthrop. But she struggled to reconcile her moral beliefs with her new career. At a time when Brazil was trying to find a way to provide affordable access to ARVs, she found herself working for the system that was propagating the status quo. At the time only one ARV, Zidovudine, was available in Brazil and the government was still struggling to find affordable access for the then over 100,000 people infected. Priced at $188 per bottle, only an elite few of those living with HIV could access the treatment they needed to survive. Although Winthrop was not involved in ARV production, Eloan felt that she needed to alter her course. One morning in 1989, Eloan arrived at Winthrop only to realize she left her ID card at home. The security guard at the entrance told her that she could not enter without her card, despite knowing her and knowing that she was a manager. This was the final straw for Eloan. When a human resources worker arrived to sort out the situation, Eloan told him that she was resigning on the spot. “I said look, ‘I need to enter because I need to pick up my things. I am going to ask for my release.’” They pleaded otherwise, but Eloan had made up her mind. “It was a very, very fantastic day for me,” she says, beaming. By then, the public sector was well aware of Eloan’s work and was in need of someone with her expertise to help fix the problems plaguing the local drug manufacturing industry. 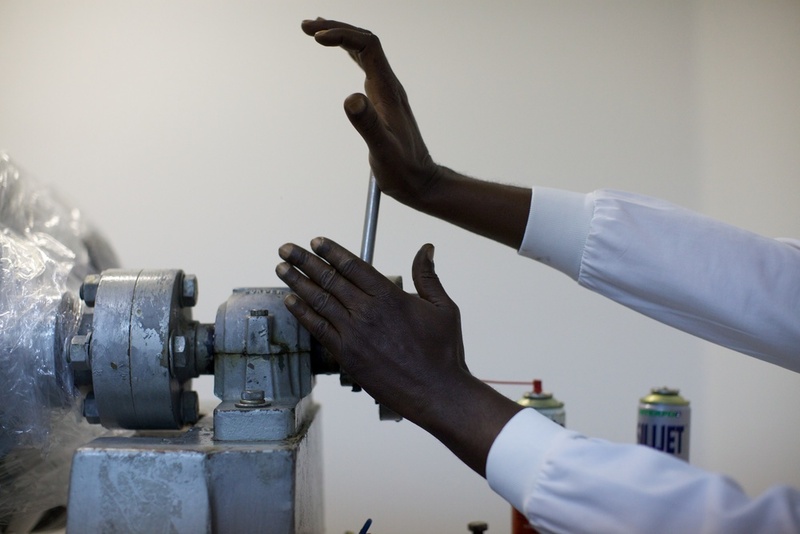 The government was attempting to meet the country’s demands for ARVs through local production, but in order to make that a reality it would need an entirely new portfolio of medicines as well as the infrastructure to produce them. Eloan’s experience in the private industry was exactly what the government needed. The Oswaldo Cruz Foundation, a scientific institution for research and development in Rio de Janeiro, hired her as a consultant for their pharmaceutical laboratory, FarManguinhos. But Eloan decided to stay, and what happened under her tenure as executive director redefined generic drug production in Brazil. FarManguinhos was transformed in those first years under Eloan’s guidance. The newest technologies and methods were brought together as the production facility was reborn. On January 1, 1994, the World Trade Organization put into effect the Trade-Related Aspects of Intellectual Property Rights (TRIPS) Agreement. This affected a wide range of patentable material, including medicines like ARV treatments. One of the biggest changes caused by the TRIPS Agreement was that medicines would receive patent terms of at least 20 years, barring generic manufacturers from producing patented drugs during that period. Brazil was required to update its patent laws and production plans to agree with the TRIPS Agreement by 2005. That meant only ten years to produce generics. Time was suddenly ticking faster. This changed the course of the future of FarManguinhos, and the country, dramatically. In the fall of 1996, the Brazilian government worked to pass legislation ensuring universal and free access to ARVs through the National Health System. The government had decided to reject the consensus of the time, which held that local manufacturing was neither cost-effective nor sustainable, and it chose FarManguinhos to lead the way. So Eloan gathered together “more clever” colleagues, as she cheekily phrases it, from FarManguinhos and the Oswaldo Cruz Foundation, including chemists, scientists, and workers. And they did it. The team figured out everything from how to mix the medicines and avoid dosage irregularities to new analysis processes and quality control. Suddenly, Brazil had a grasp on the HIV/AIDS epidemic that had been spreading through the country for nearly 15 years. It became a global success story for the rest of the world, proving that local production could be both sustainable and effective. When Eloan attended a WHO conference in New York later that year, she was received as a champion. After serving out the rest of her term as executive director at FarManguinhos, Eloan took her work to the World Health Organization. As a consultant there, she traveled to developing countries around the world advocating for local production. As her binder of thank you notes attests, she made quite an impact with her vision and charisma. Now her work to secure affordable ARVs is virtually complete in her home country. These days, HIV/AIDS is a chronic disease, no longer threatening the lives of every Brazilian that it infects. 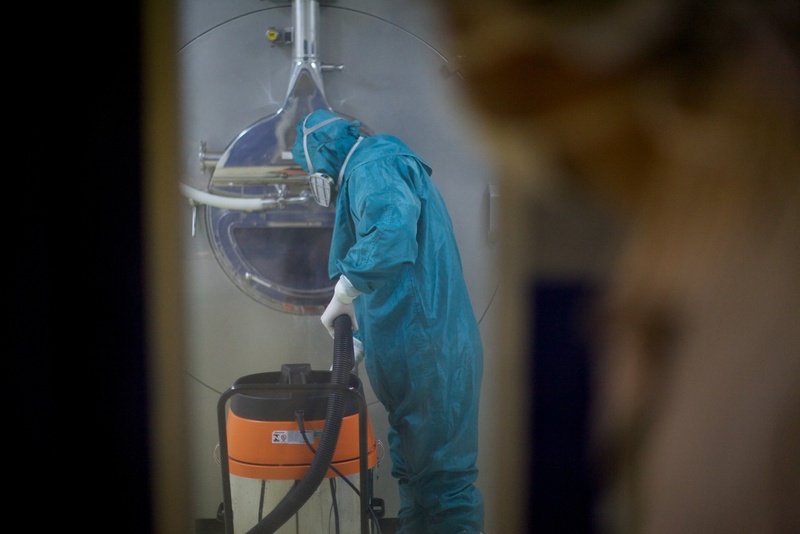 FarManguinhos continues to produce and supply the ARV treatments guaranteed by the government for all of its citizens. The question facing the country now is how it will respond to the growing hepatitis C epidemic within its borders. While global awareness is on the rise, there is still significant work to be done if the successes of HIV/AIDS treatment access are to be repeated. But Eloan is confident that it is possible. Today, the status of hepatitis C treatment in Brazil is reminiscent of HIV/AIDS medications in the early 2000s – treatment exists but options are limited, and the side effects of available medicines are severe. In Brazil, the most common hepatitis C drug is pegylated interferon, an antiviral that must be injected into the patient’s abdomen each week. It boasts a limited cure rate of roughly 45 percent and, while it is the most effective option available, it comes with debilitating side effects that can span from flu-like symptoms to clinical depression. Many patients cannot keep up with its demanding weekly regimen, even if they can withstand the side effects. Sovaldi has the potential to transform this status quo. But before consumers can access Sovaldi, either under its brand name or as its generic, sofosbuvir, the drug’s patent must first make its way through a maze of government bureaucracy and rounds of negotiations between the drug company and the government – processes that have been known to take several decades in Brazil. Patent applications begin their long journey for approval under the guidance of the Brazilian Ministry of Health (see chart). The first round of tests occur within the Ministry’s National Intellectual Property Institute (INPI). The INPI considers if the pending patent satisfies certain basic requirements: is the subject matter patentable, is it novel, etc. During this stage, the public is not informed of the pending patent’s existence, so it is near impossible to know the timeline of this phase. Assuming the pending patent advances through the INPI’s initial examination – and it is believed that Sovaldi’s will advance due to its unprecedented cure rate – it then proceeds to the Ministry’s National Health Surveillance Agency (ANVISA), where it will be evaluated against the government’s health policies. If the patent does not satisfy ANVISA’s requirements, it will be rejected there and the process will end. If it does satisfy them, it will be transferred back to the INPI for one last round of analysis before a final decision to approve or deny the patent will be made. While in theory this process is meant to be effectual, albeit somewhat circuitous, in reality it has proven to have serious flaws. Ana Claudia Dias de Oliveira, a Brazilian attorney who has been working on patent law for the past seven years, has seen the weaknesses of the system firsthand, starting with the INPI. At the moment, there is no official word on the existence of a pending patent for Sovaldi circulating through the Ministry of Health, although de Oliveira and many others have a hunch that it is in the system somewhere. It is known that in 2008, Gilead Sciences filed a series of patents for Sovaldi in other countries, including the United States, where it was approved in December 2013 by the Federal Drug Administration for its cost of $84,000 for the 12-week treatment. De Oliveira believes that Brazil must have been one of the countries to receive a patent request that year as well. Most likely, the pending patent has stalled within the INPI. Even though the United States approved Sovaldi’s patent with an $84,000 price tag, Brazil is hardly obligated to follow suit. Just as it did in the 1990s with HIV/AIDS treatments, the government can initiate price negotiations with the drug manufacturer, in this case Gilead Sciences, to lower the cost of the drug. While the cost of Sovaldi in the United States surprises and troubles many, Gilead has defended the drug’s high price from the beginning. One argument is that the cost of the research and development that goes into ultimately producing a new drug like Sovaldi is so great that the final product must be accompanied by a price tag set high enough as to offset the initial investments. This rationale has not placated many opponents, in part because few pharmaceutical companies share their research and development costs with the public, and it does not alleviate any of the ill will held by those who believe that drugs should never be priced out of reach of those in need. But Gilead also considers the macro level when determining a price for a new product. For example, a drug like Sovaldi, with such an unprecedented cure rate, has the potential to reduce the long-term costs currently associated with hepatitis C, as Nick Francis of Gilead’s public affairs department explains. So while Sovaldi sells for $84,000 for a round of treatment in the United States, Brazil might get a lower price due to this “tiered pricing” system. Under this method, countries are divided into three different tiers based on the country’s hepatitis C prevalence and gross national income. Sovaldi’s recent release in Egypt highlights this gradated pricing system, with the 12-week treatment on the market for $900. Since final prices are only determined on this country-by-country basis once the patent is approved, it is yet to be seen where on the spectrum the proposed price tag will fall in Brazil. Most likely, Sovaldi’s patent will be approved and price negotiations will begin between the Gilead and the government, like they did during HIV/AIDS treatment negotiations. Except this time, another key player will be there to back up the government’s price proposals that had not been there before. Today, the government has FarManguinhos ready to stand behind it. FarManguinhos is now a state of the art facility, a far cry from the dilapidated facility that greeted Eloan on her first day. The concrete floors are crisply painted and the machinery shines brightly under florescent lighting. 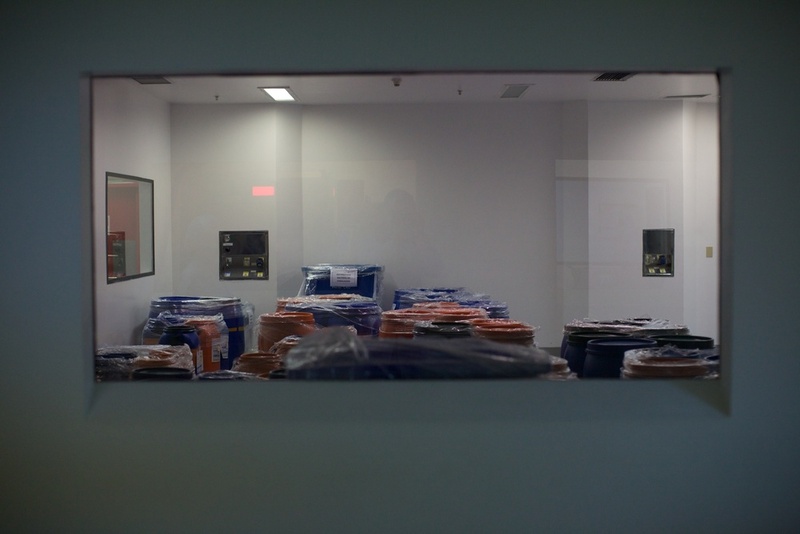 Every eight hours, 120 workers don scrubs, hairnets, and surgical masks as they swipe ID cards in and out of metal turnstiles on their way to the production lines. Barrels full of powders colored blue and orange are organized on wooden pallets in cavernous storage rooms before they are measured and mixed and put into capsules for the consumer. 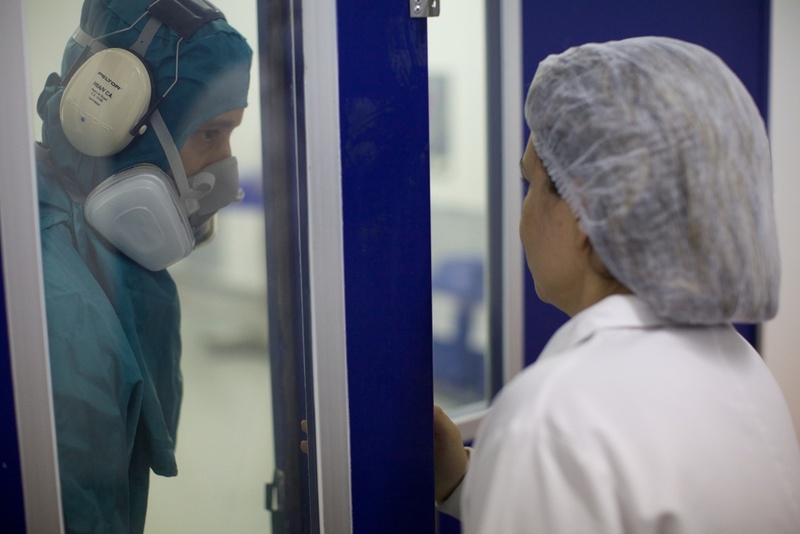 At any given moment, FarManguinhos has the capacity to produce twenty different medications on its expansive production grounds. 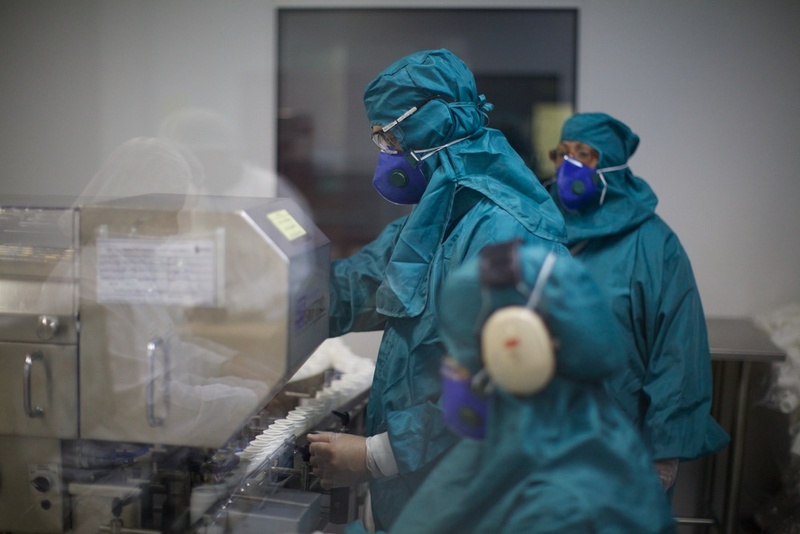 Although FarManguinhos, like other generic manufacturers, is barred from commercially producing sofosbuvir during the negotiation period, it is able to develop the drug on a pilot scale. By doing so, it can tell the government exactly how much it would cost to produce the drug domestically, which likely would be less than Gilead’s proposed price even under the tiered pricing plan. The government can then use that information as leverage to further lower Gilead’s price offers. This negotiation method has successfully lowered the price of numerous patented drugs in Brazil over the last decade, thanks to the domestic production improvements fostered by Eloan and her colleagues. Right now, all eyes are on where the patent application might lead the country. 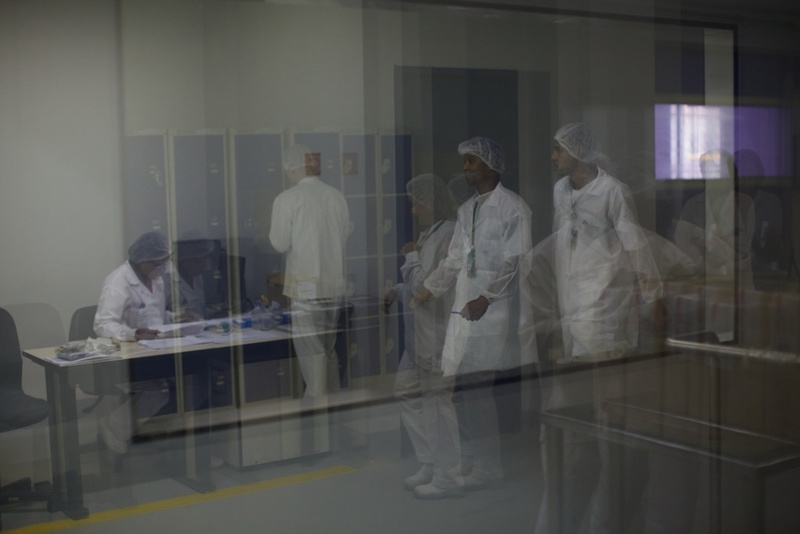 If the government denies Sofosbuvir’s patent, FarManguinhos will mass produce the generic. If the government approves it, FarManguinhos will produce the generic on a pilot scale and the government will negotiate prices accordingly. But there is still one other option that is both less well known and much riskier for the government. 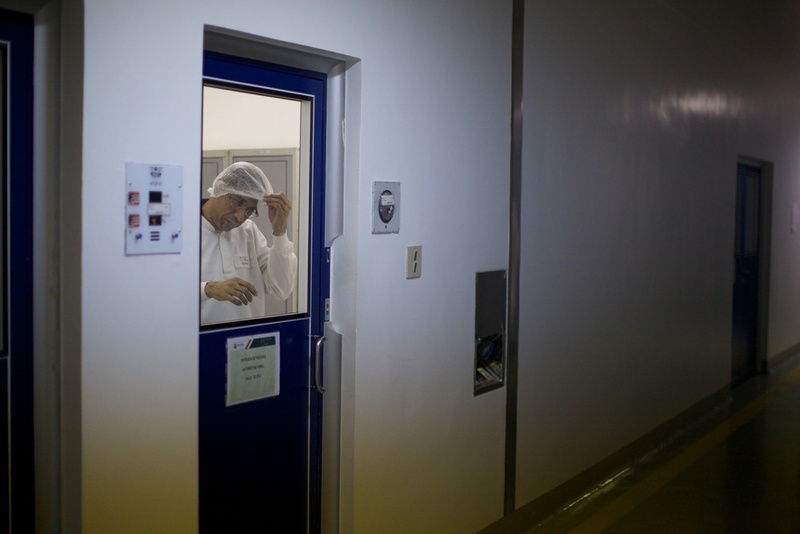 There is a chance that FarManguinhos might still mass produce the drug even if the patent passes, and that is if Brazil decides to risk international sanctions by playing its trump card: issuing a compulsory license. A compulsory license allows a party, such as the Brazilian government, to produce a patented product without the patent holder’s consent – allowed in the TRIPS Agreement but enacted sparingly. These licenses can be implemented under limited conditions, including but not limited to “national emergencies,” such as the growing national heath threat of hepatitis C. By issuing a compulsory license, Brazil would be able to circumnavigate Gilead’s price offers if they are deemed unfeasible. But such a brash move does not come without consequences, as Brazil learned seven years ago, when it issued its first compulsory license. Patent approval. Patent denial. Government negotiation. Compulsory licensing. For now, everyone must wait. After all, it is not as if hepatitis C is a particularly new health threat in Brazil. The disease has been spreading through the population for decades, and yet the government has failed to take any action comparable to its upcoming decision on Sovaldi’s patent. In order for the government to prioritize hepatitis C, civil society groups must continue to apply pressure, says Eloan, and others agree. Progress has been made in recent years, but much of the responsibility to keep hepatitis C in the national spotlight falls on the shoulders of today’s civil society groups. While Eloan maintains a far more substantial calendar than her humble outlook implies, the truth remains that the future of hepatitis C is in the hands of the rising “Eloans” – the civil society members that are leading public campaigns and meeting with the Ministry of Health. They are the ones who share Eloan’s “feeling,” her moral obligation to fight for what is best for the people. They are out there and gaining steam, but the fight is far from over. There is much for rising generations to learn from the history of HIV/AIDS medicine in Brazil. If they remember the work and tenacity of Eloan Pinheiro and are wise to the history of the fight for HIV/AIDS treatment in Brazil, then they too just might find themselves sitting back comfortably in their living rooms twenty years from now, reminiscing on their successful fight to secure an effective and affordable cure for hepatitis C in Brazil.